Have Questions or Ready to Buy? Contact Us!A TMPG Inc. representative will respond shortly to your enquires regarding our SDK technology and licensing. File readers have been developed by Pegasys Inc. to serve as a bridge between the numerous video/audio formats available and the Pegasys Encoders. Under a consistent API, they provide the facilities to access external resources such as those found in the Microsoft Windows operating system, QuickTime, etc. All Readers output DIB (YUV/RGB) for the video and LPCM for the audio. 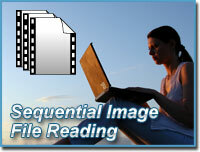 All TMPGEnc software use the File Reader technology for importation purposes. 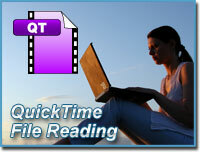 Imports Apple QuickTime file content. This SDK requires QuickTime 7 or newer to function properly. Imports Microsoft Windows Media Video file content. Imports the content of an unprotected DVD-Video volume. 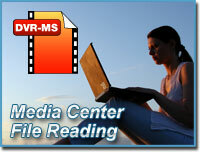 Imports Microsoft Windows Media Center DVR-MS file content. Note this Reader cannot access copyright protected DVR files. 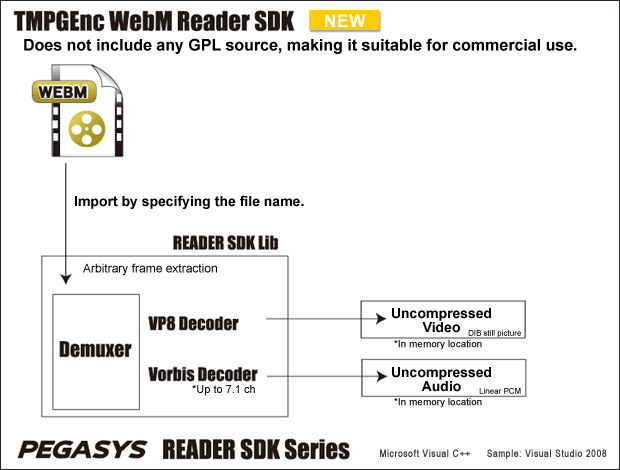 This SDK requires a Windows Media Center environment to function properly. 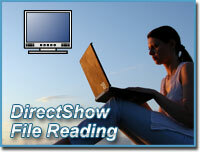 Connects to the DirectShow system to import the content of DirectShow readable sources. Imports a series of JPEG or BMP files sequentially numbered. Imports WebM file content. Does not include any GPL source, making it suitable for commercial use. Provides the facilities to play common files such as MP4 (H.264/AAC) directly on Unity without using the MovieTexture. Since this asset utilizes Microsoft Media Foundation for importing and decoding video and audio files, you can use generic formats without installing external CODECs. Click here to learn more, get the free trial, and for purchase info!